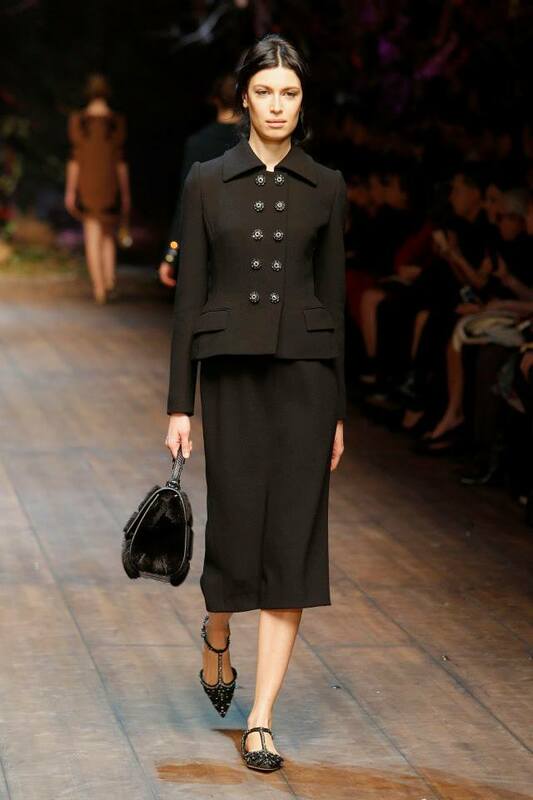 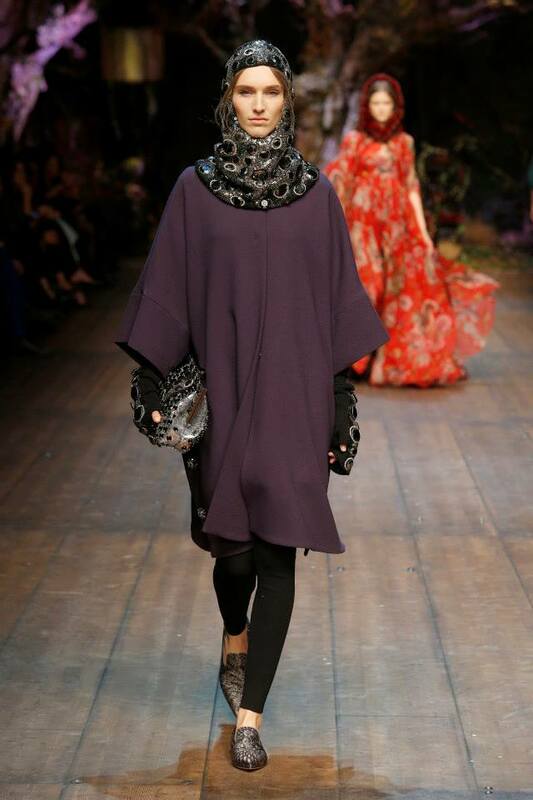 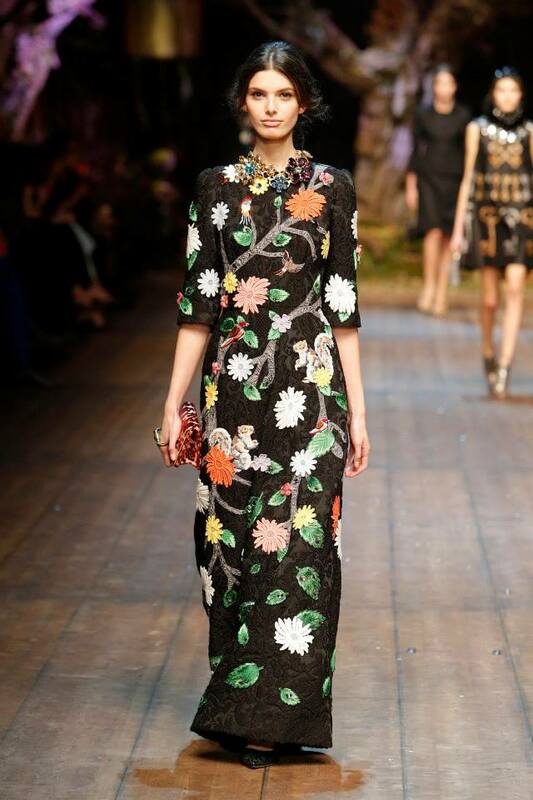 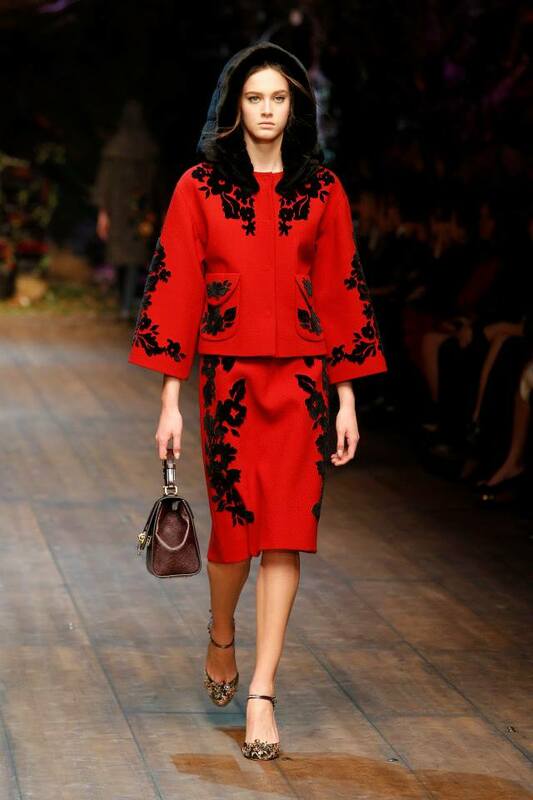 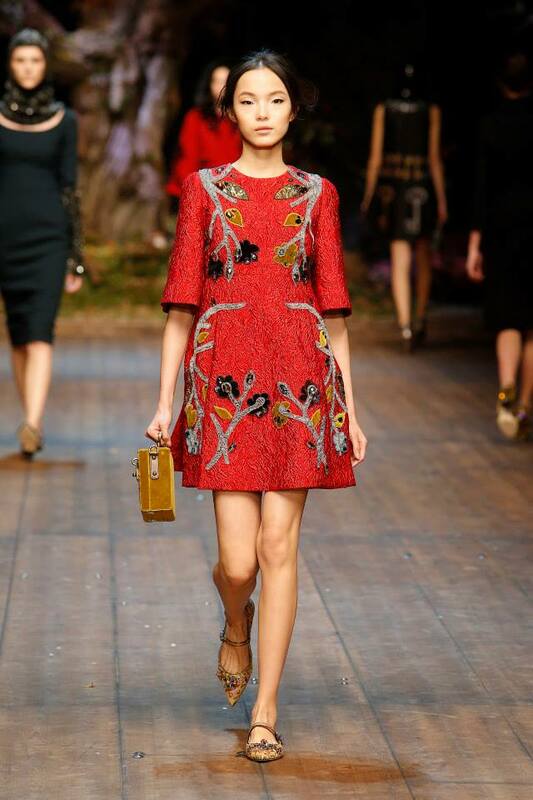 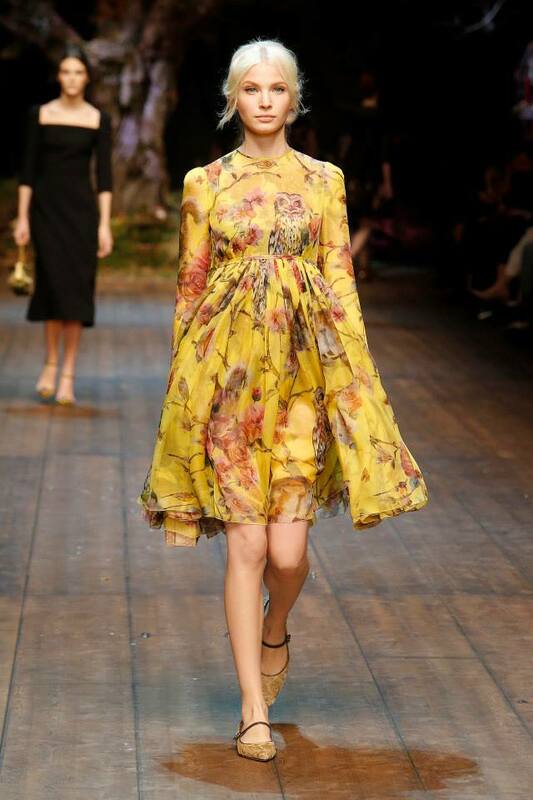 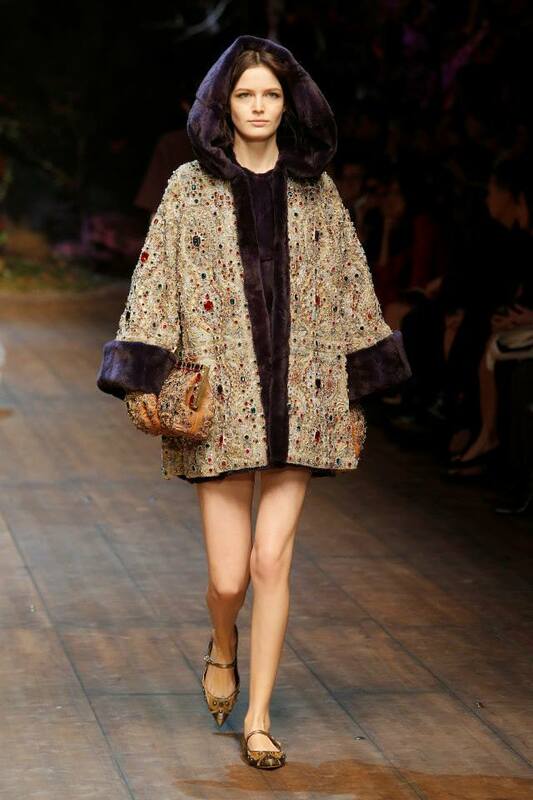 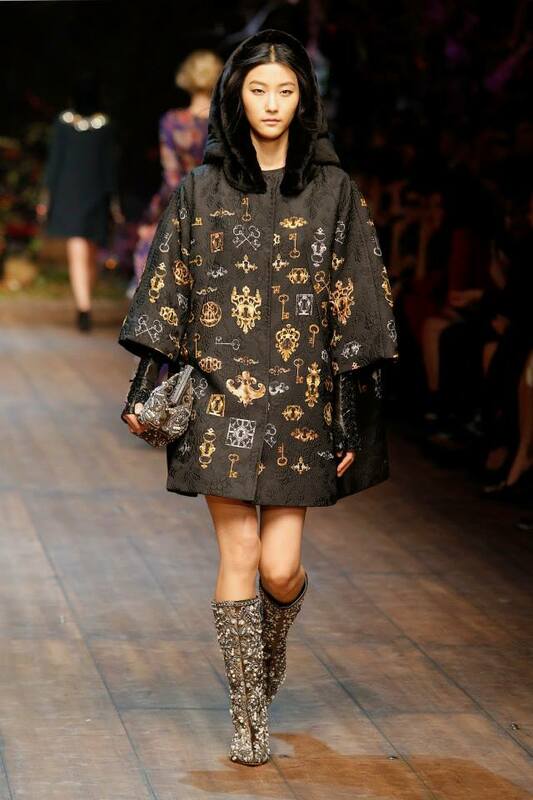 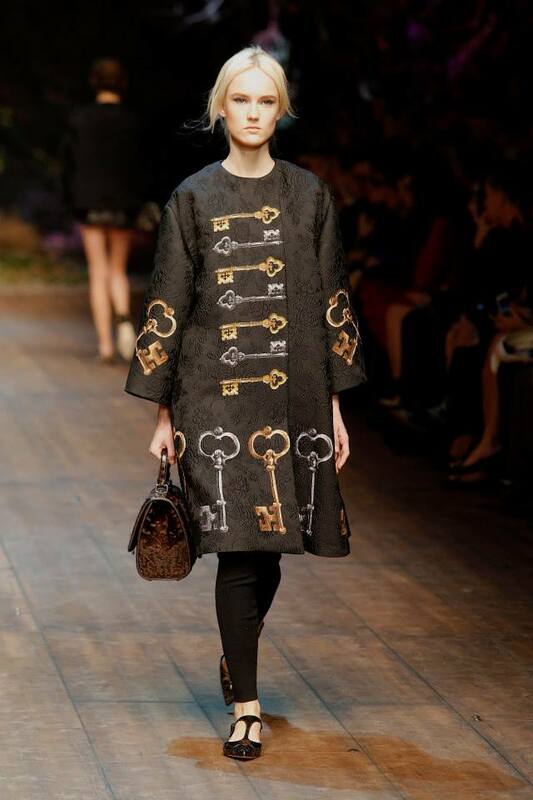 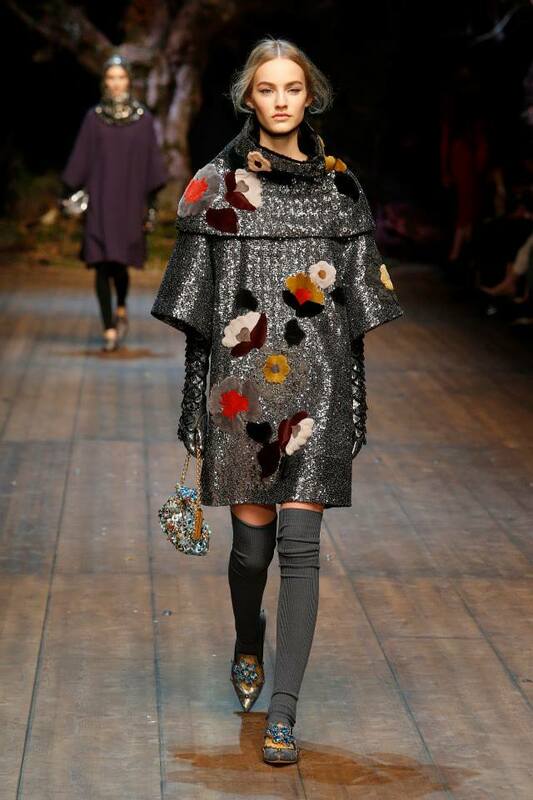 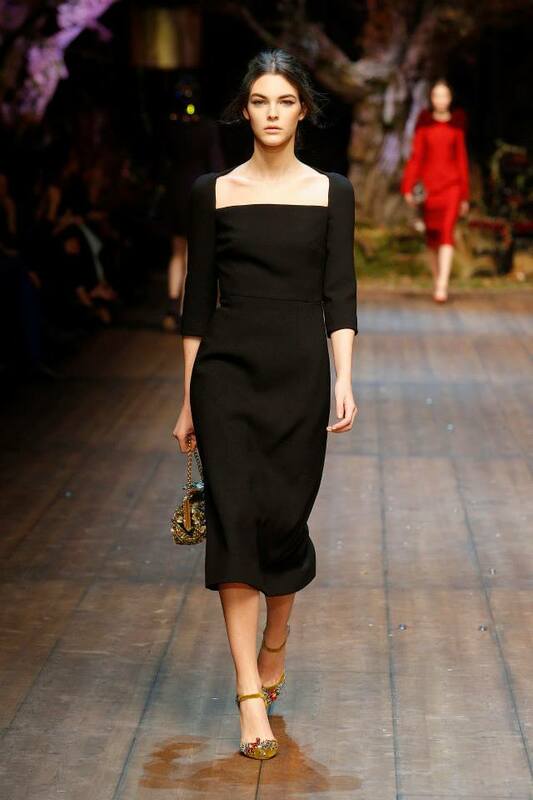 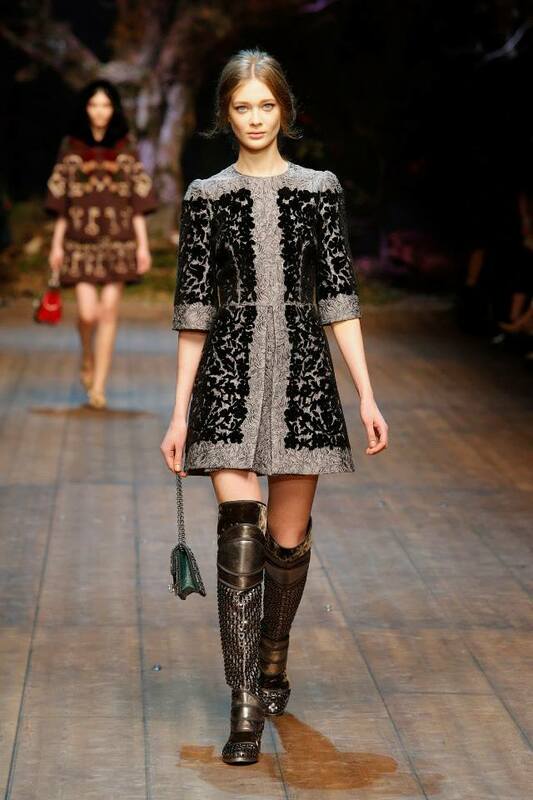 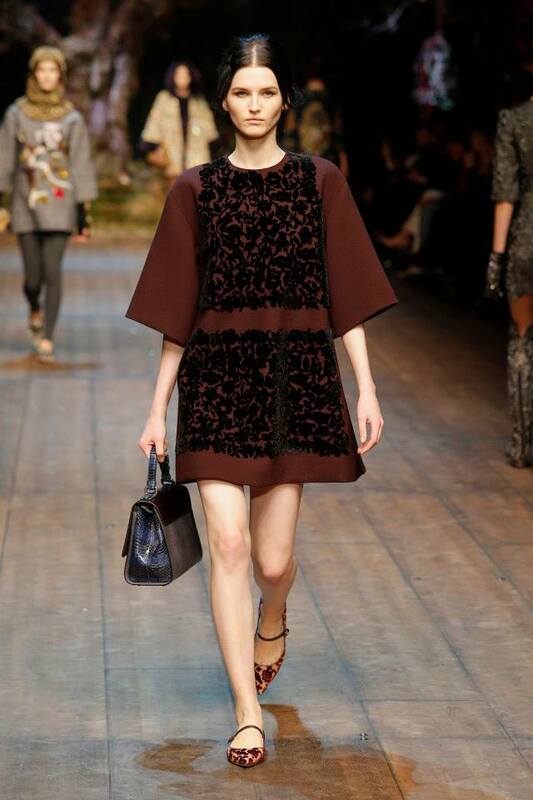 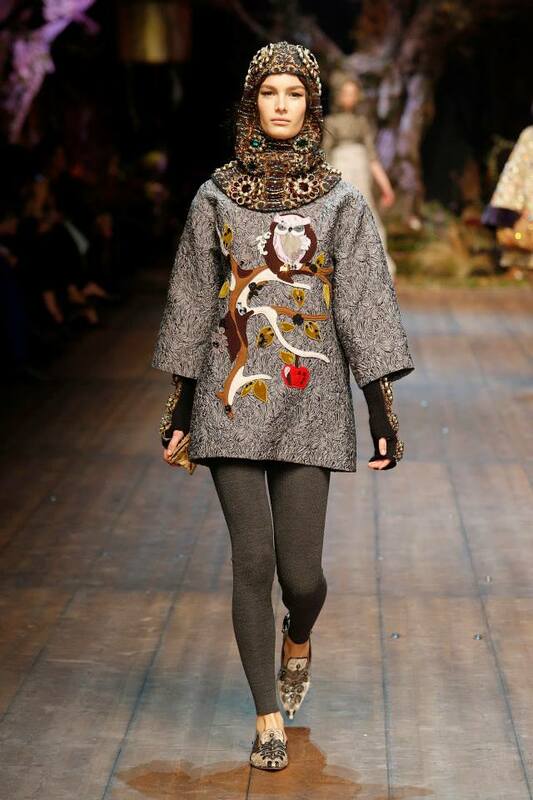 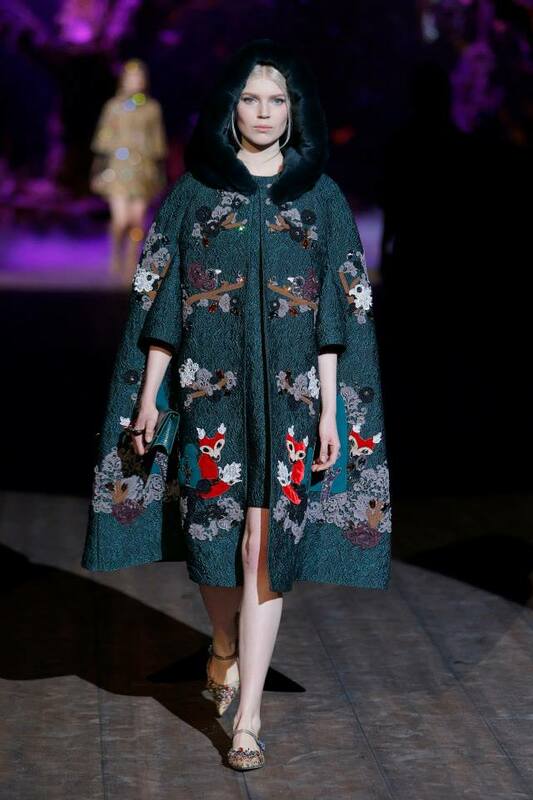 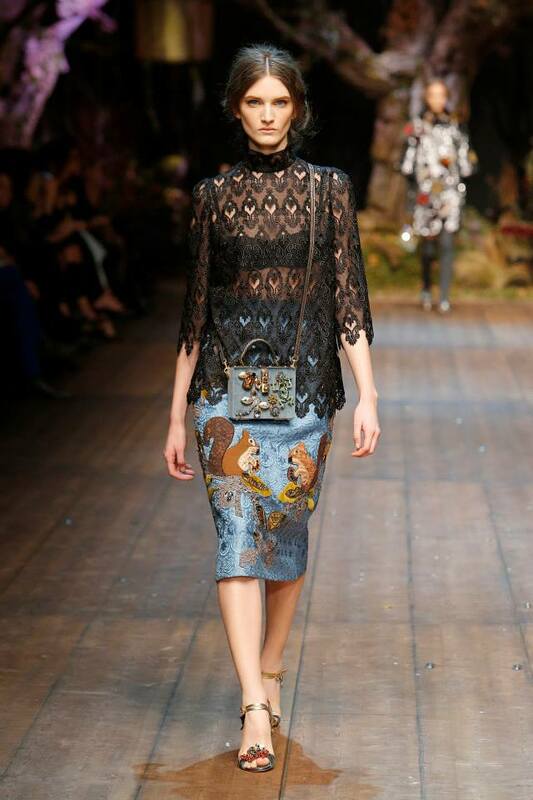 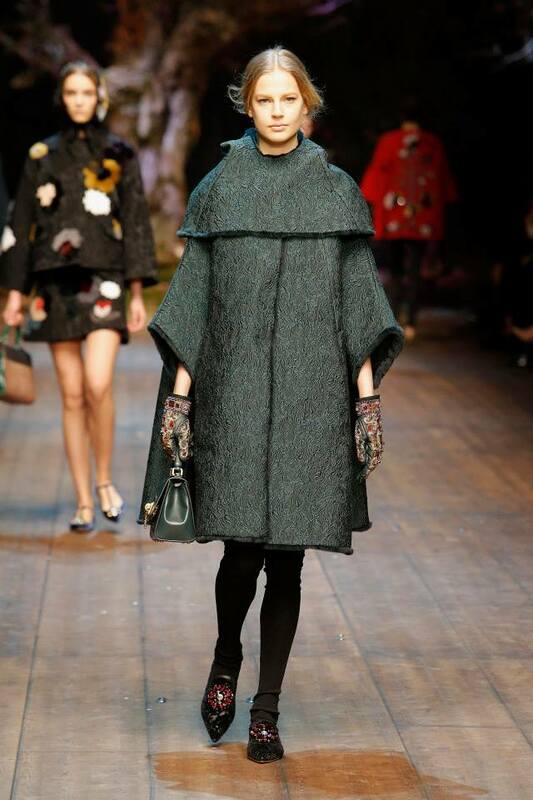 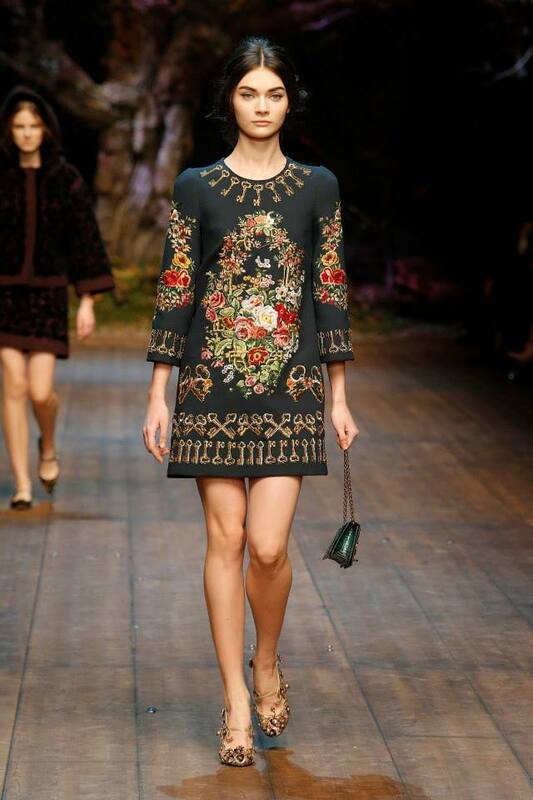 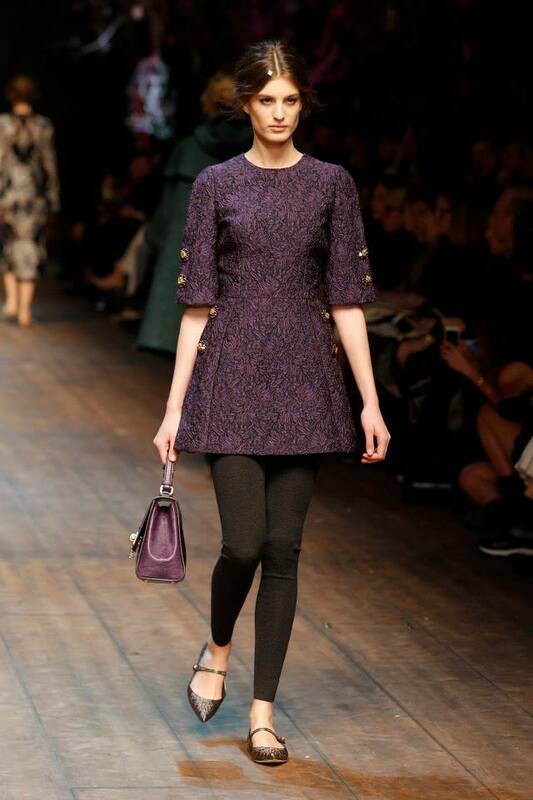 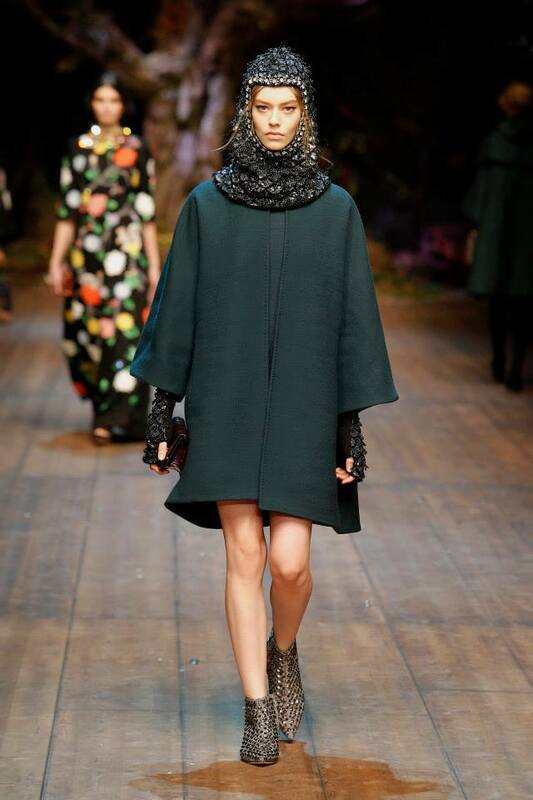 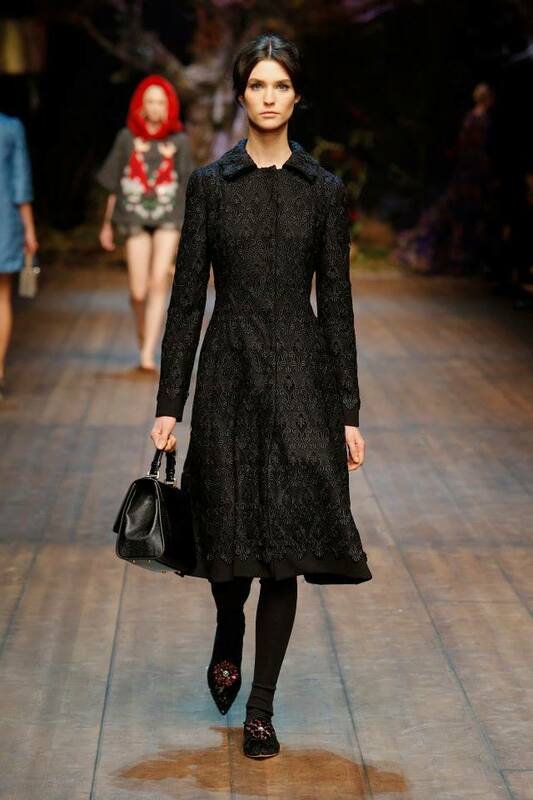 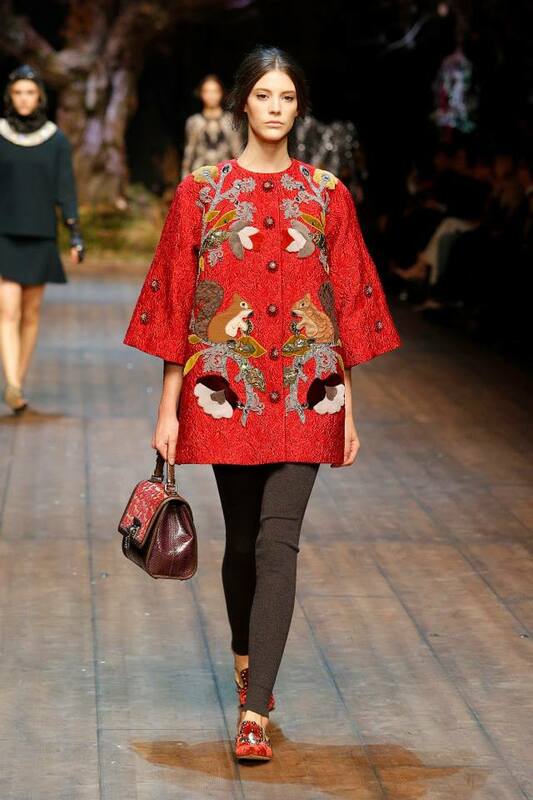 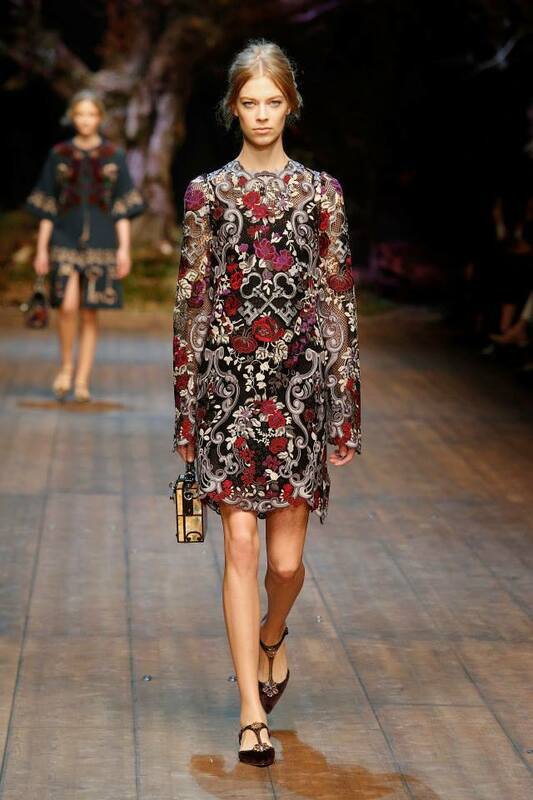 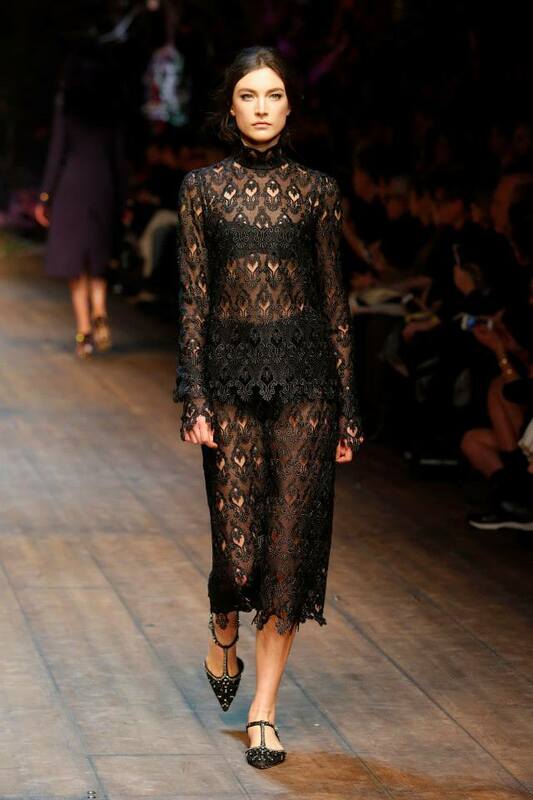 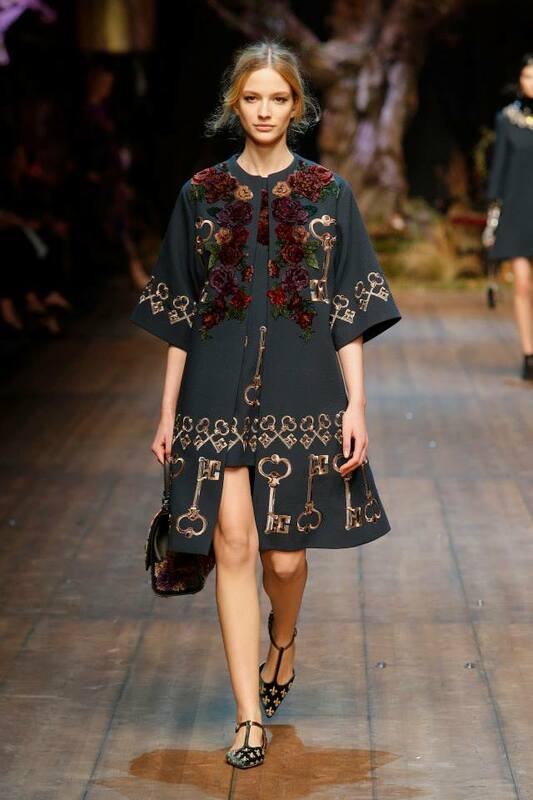 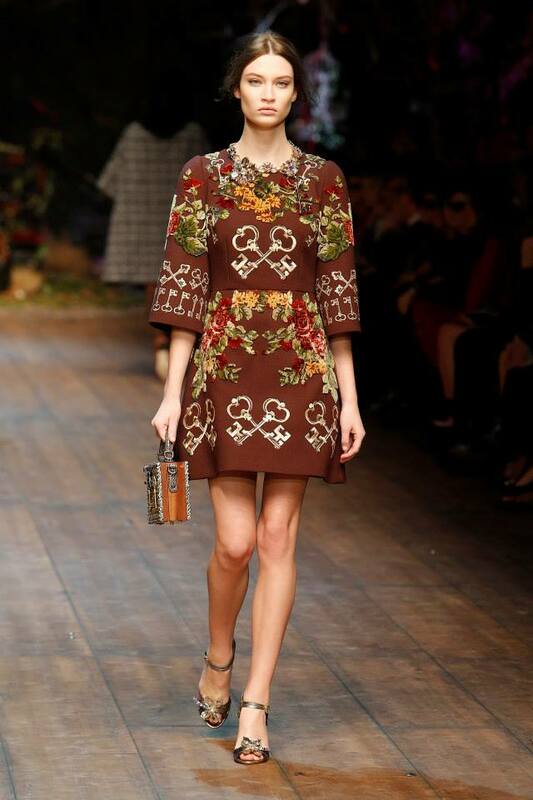 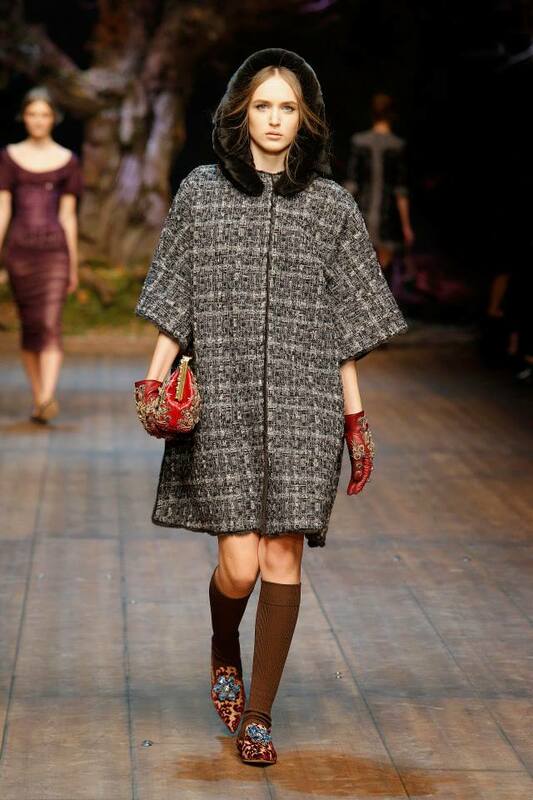 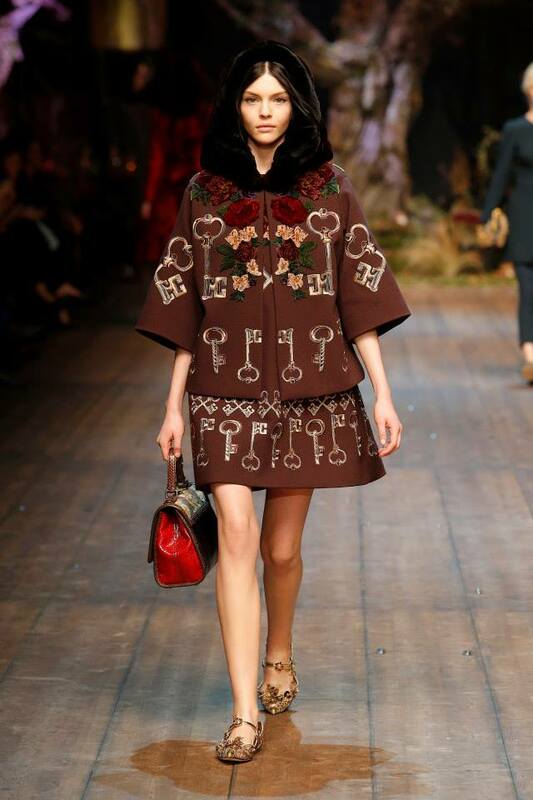 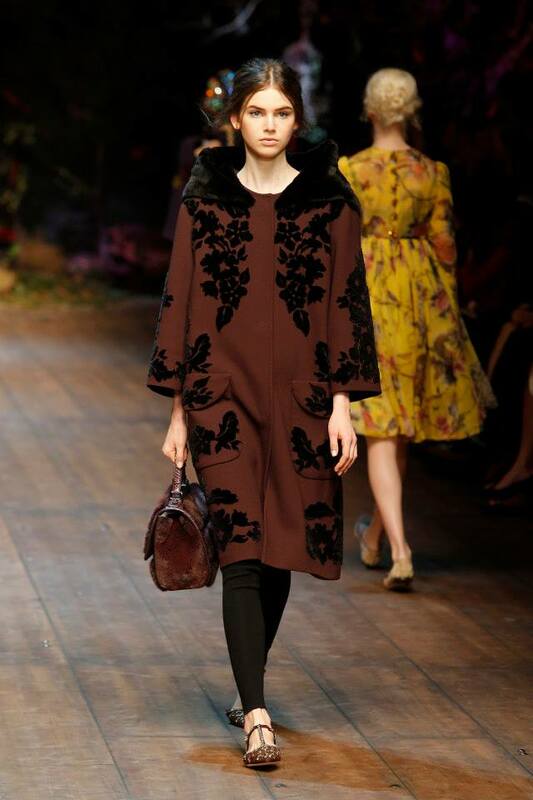 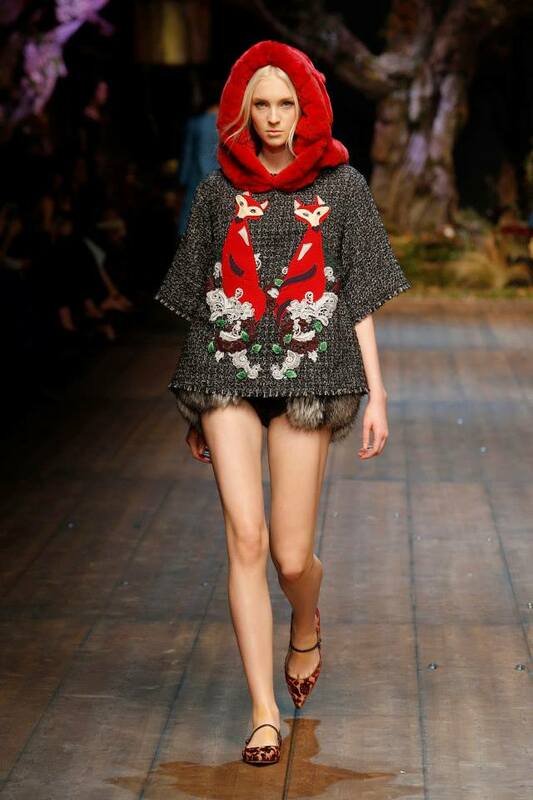 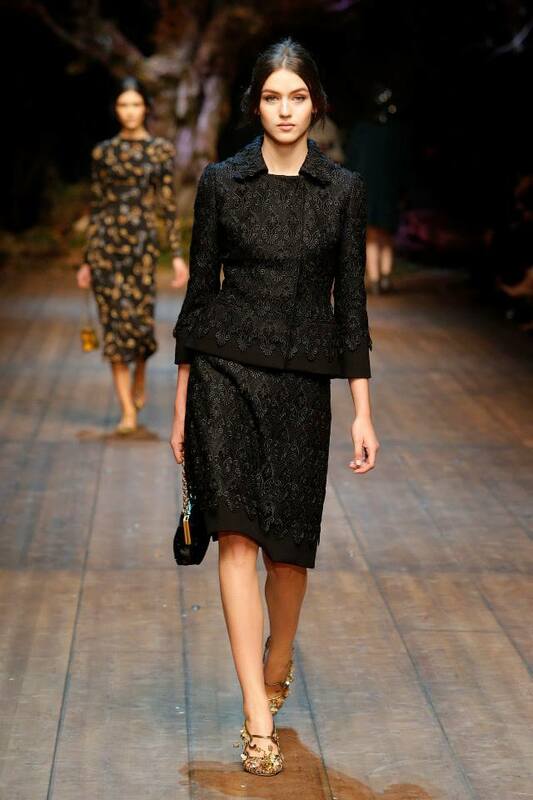 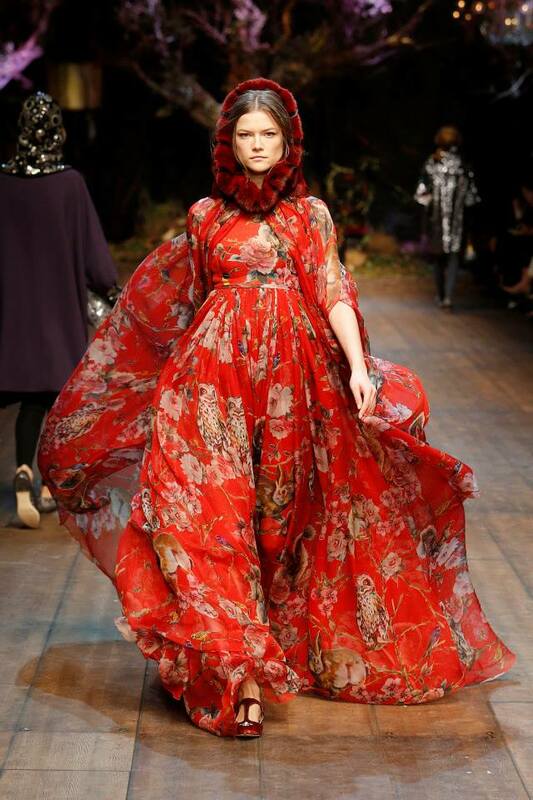 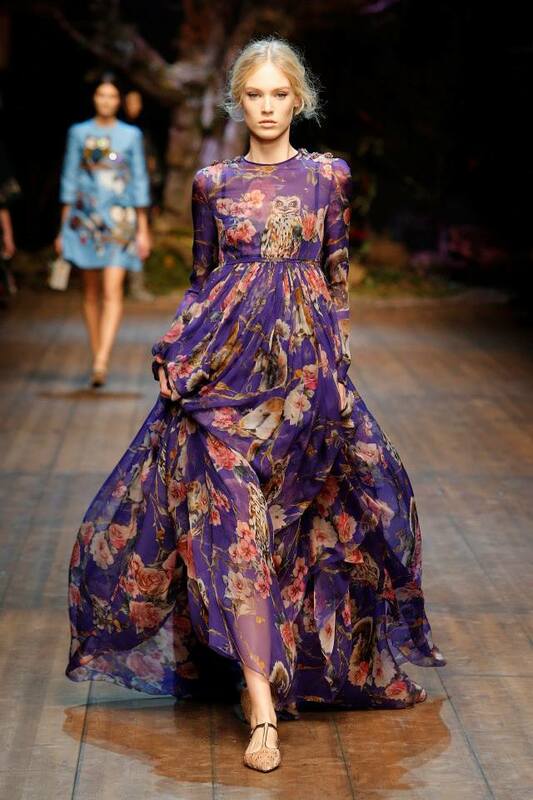 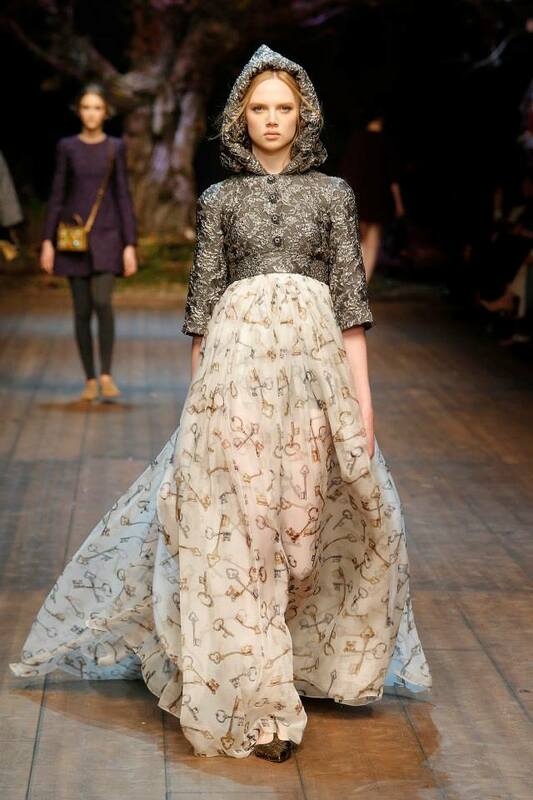 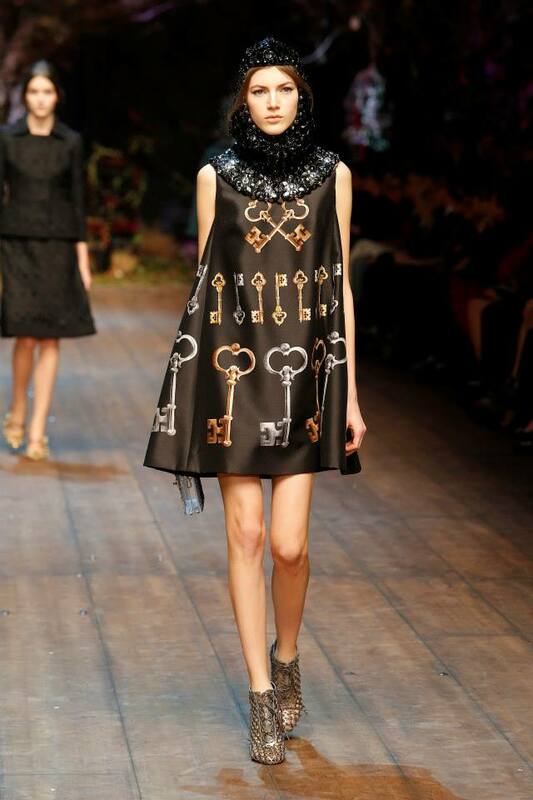 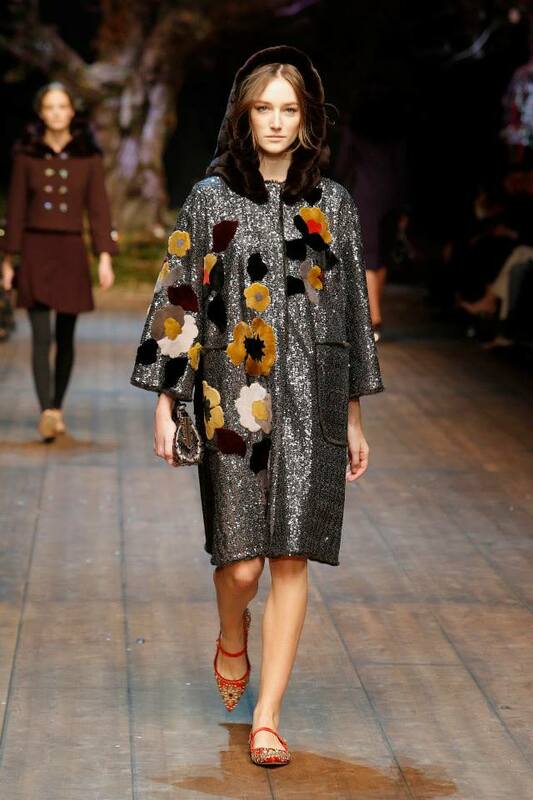 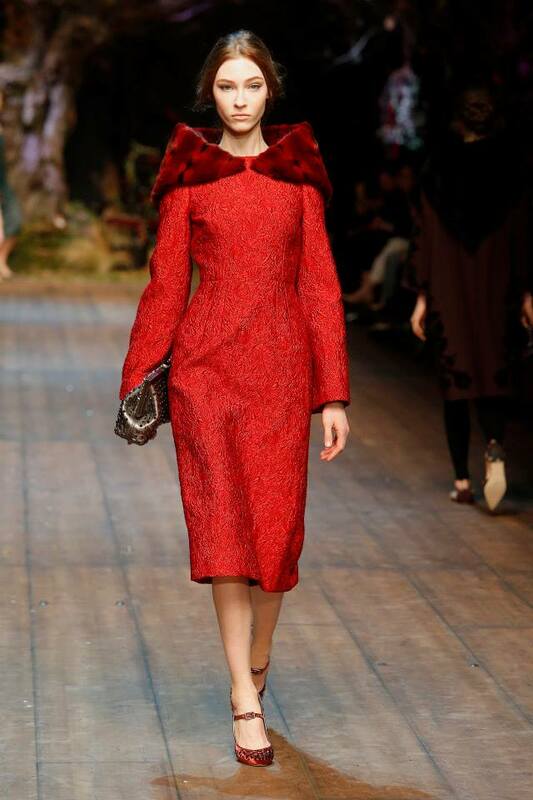 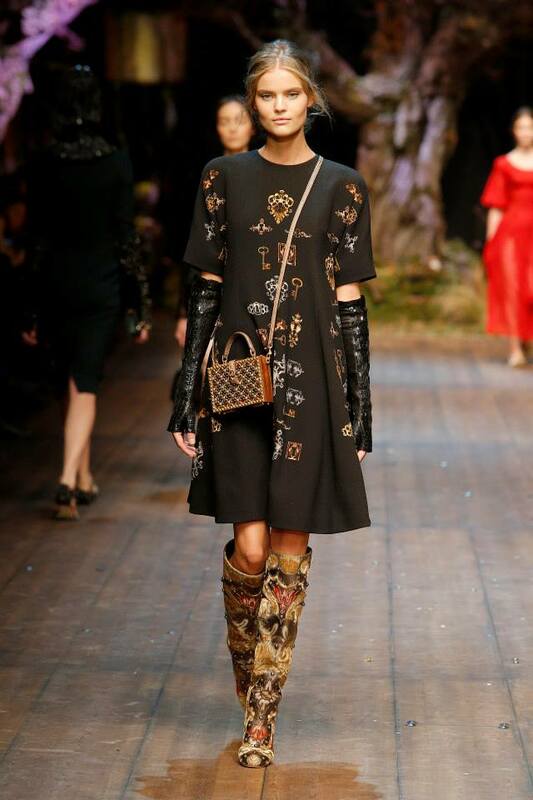 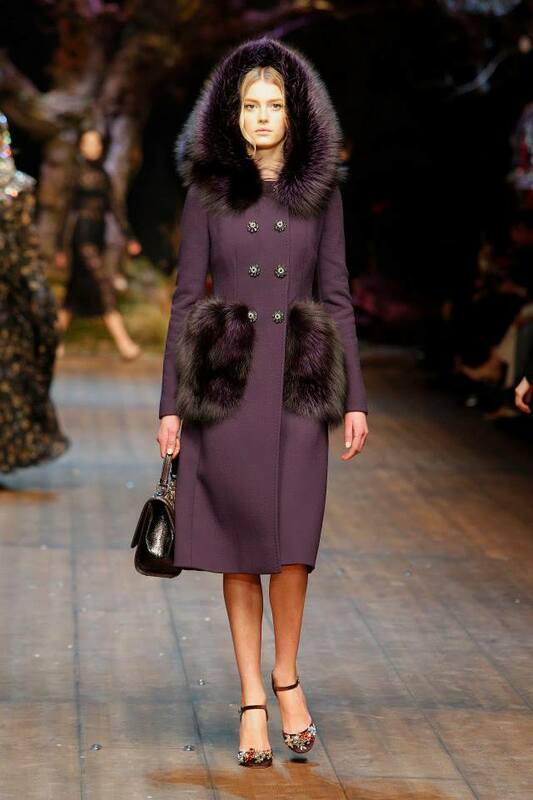 There’s only one way to describe Dolce and Gabbana’s A/W 2014 collection and that is a beautifully told fairy story. 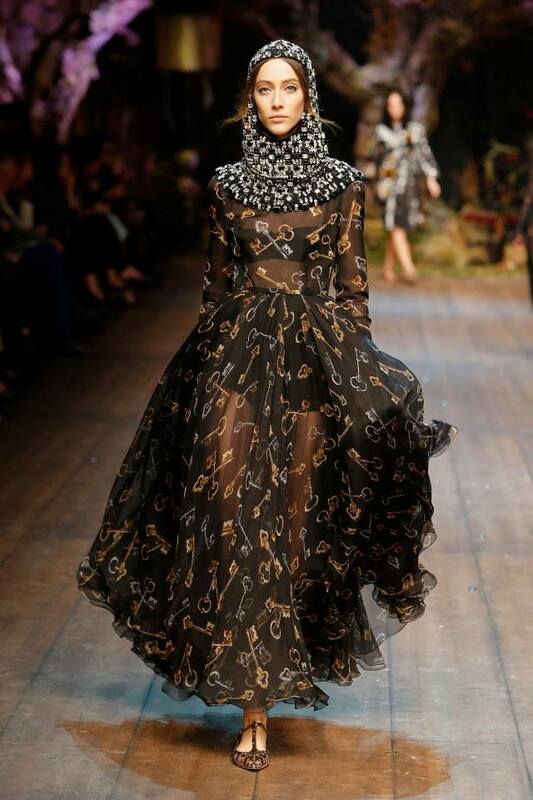 With such a decadent and indulgent colour pallet, a beautiful mixture of fabrics and textures, bejeweled, embroidered and adorned, with lots and lots of brocade looking – royal in gold and refined in black, you wouldn’t be wrong to assume yourself thumbing through the illustrated pages of a giant fairy tale book. 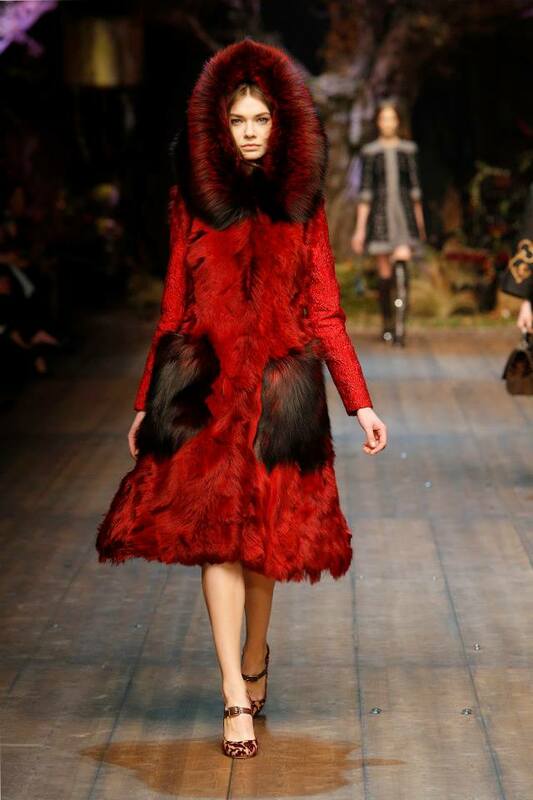 Maid Marion meets Little Red Riding Hood immediately comes to mind as you imagine outer -wear made spectacular embellished with giant golden skeleton keys and sumptuous hoods made from velvet and fur, in that ever so striking blood red or the deep and sensual purple. 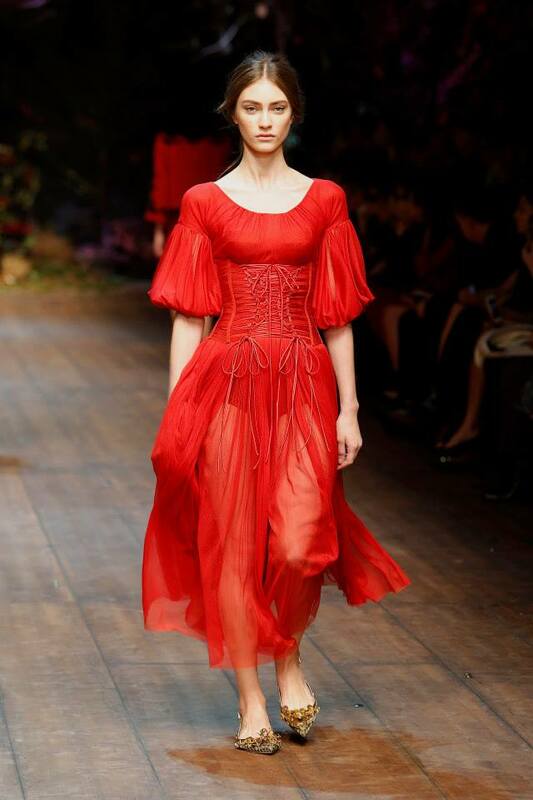 For those a little less intense, billowing floor length dresses that fluttered were dreamy, sheer midi length corseted dresses were ever so damsel in distress and chic shift dresses were toughened up with metal boots of armour. 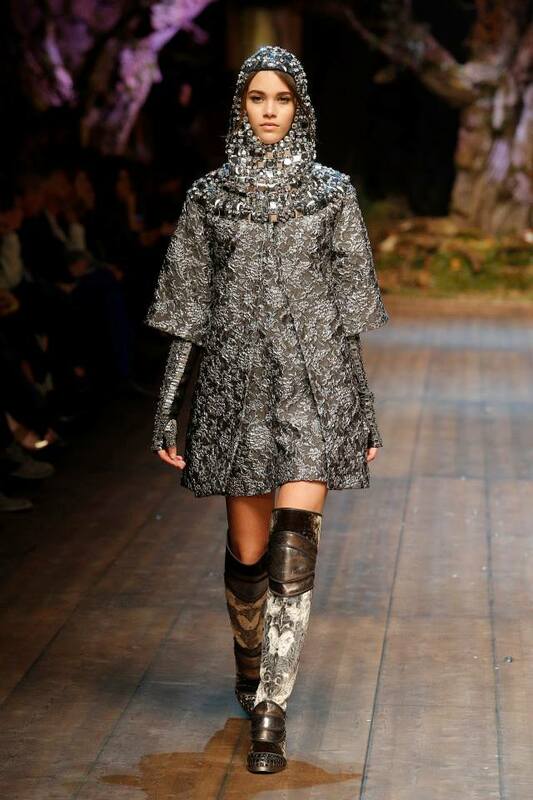 How could we help but imagine our own ‘Happily ever afters’ when the models appear so proud and protected in this ever so opulent and rich collection of armour, tough enough to shield us from reality.